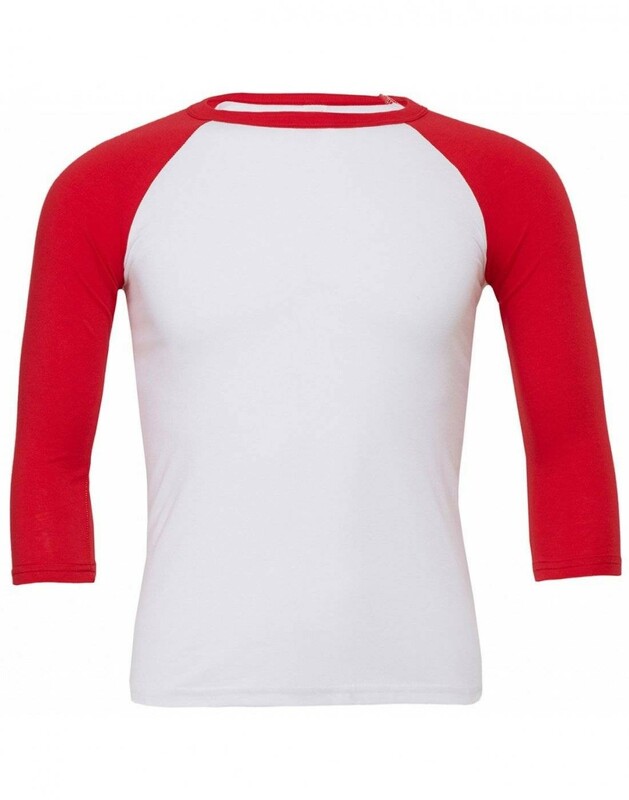 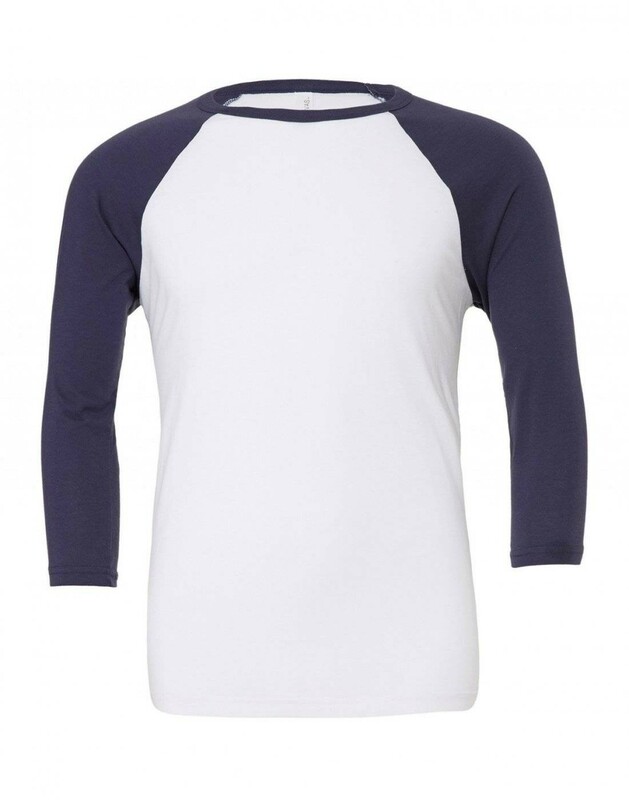 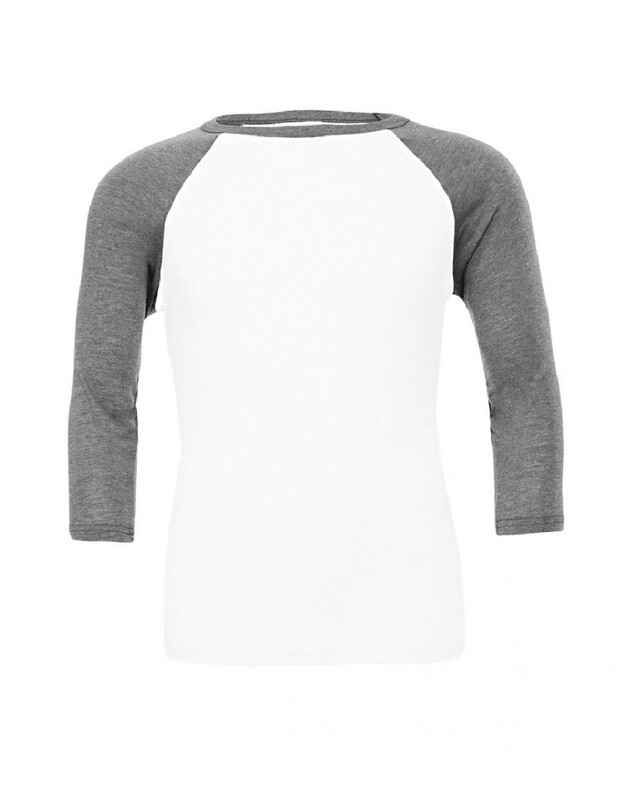 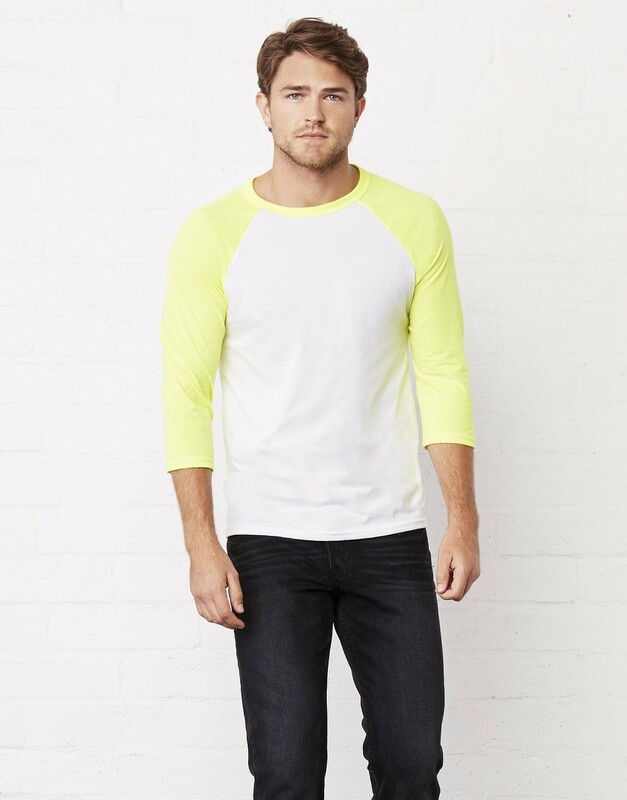 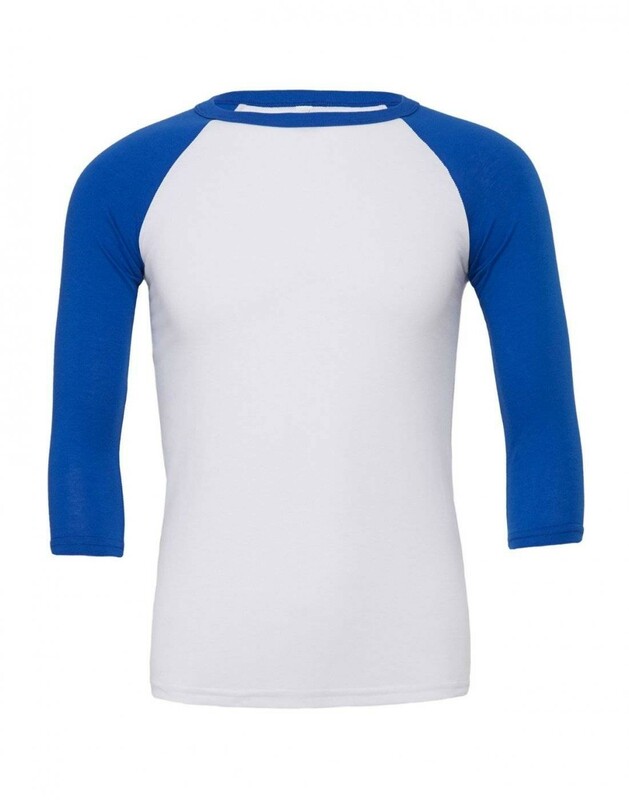 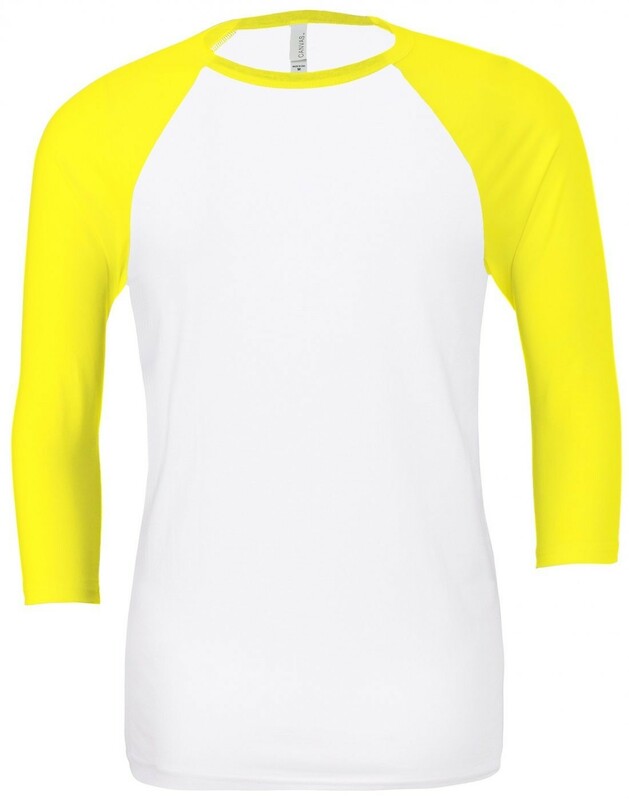 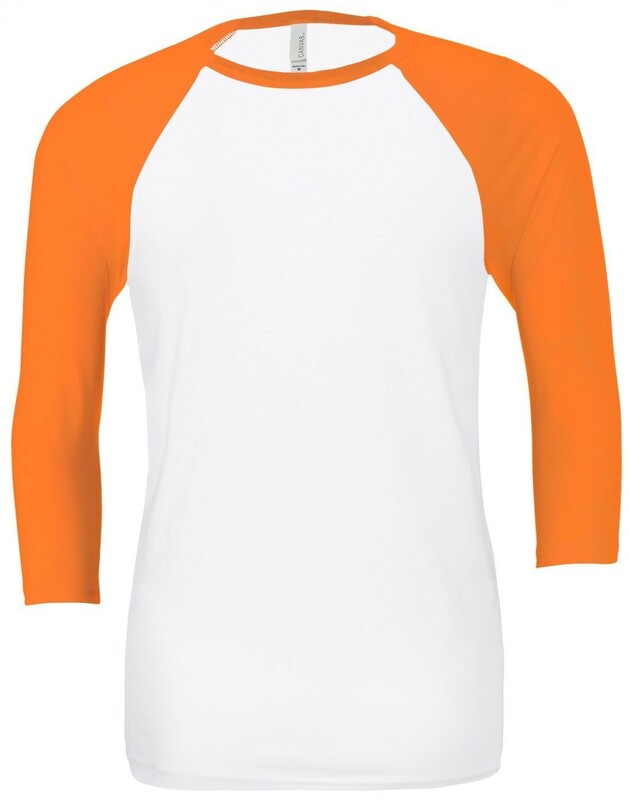 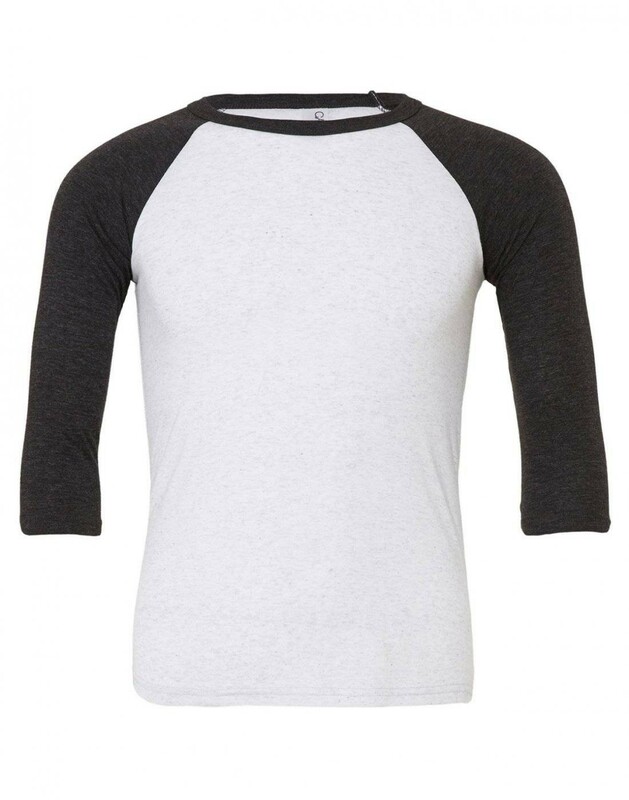 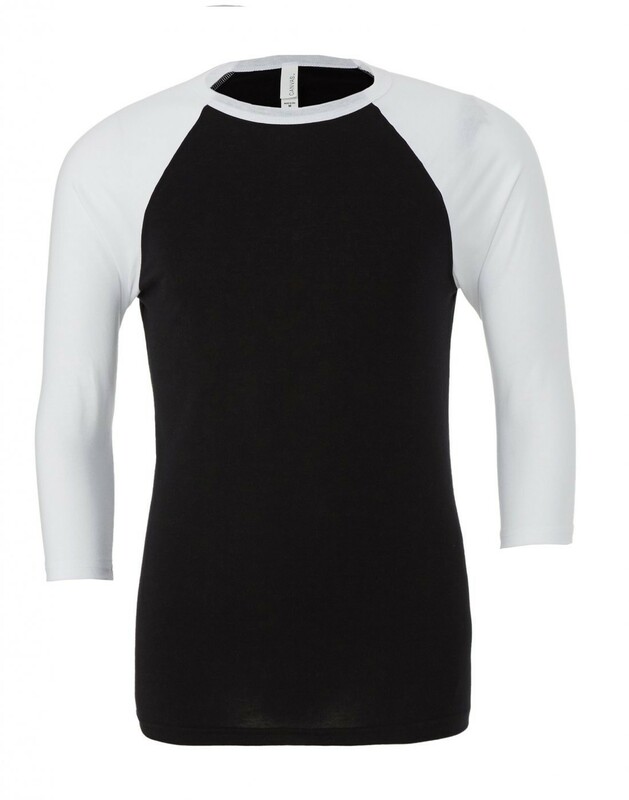 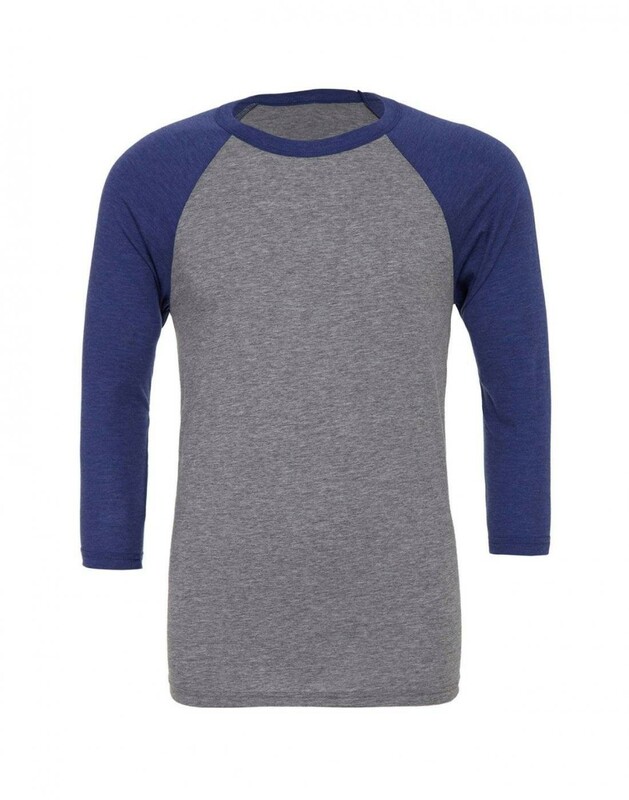 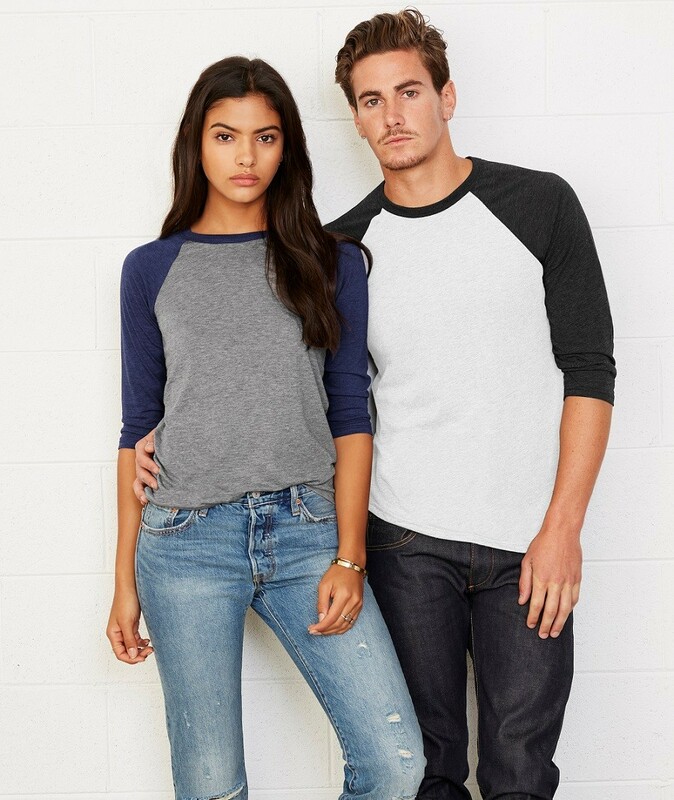 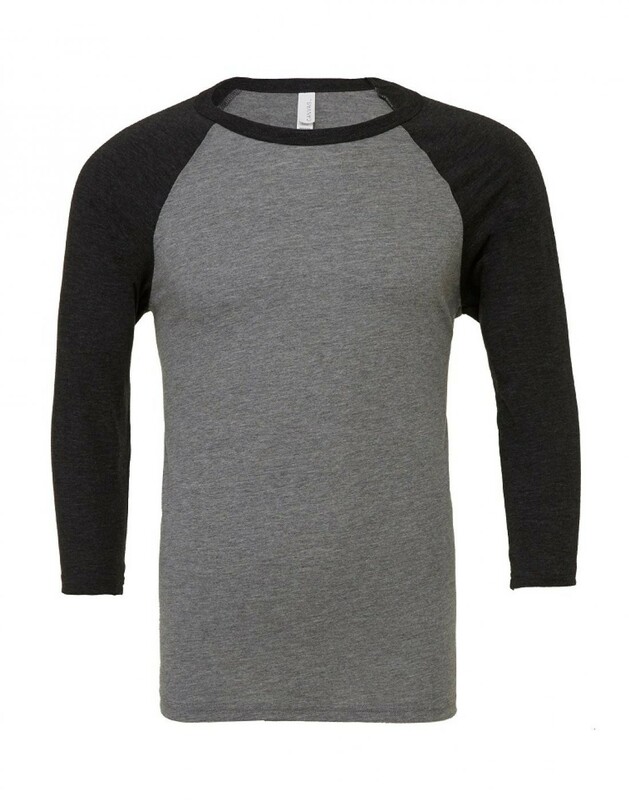 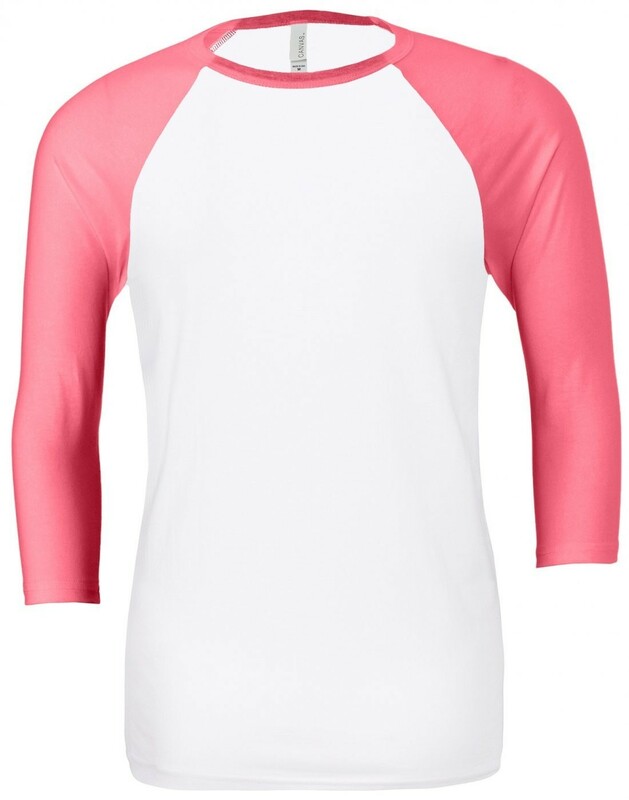 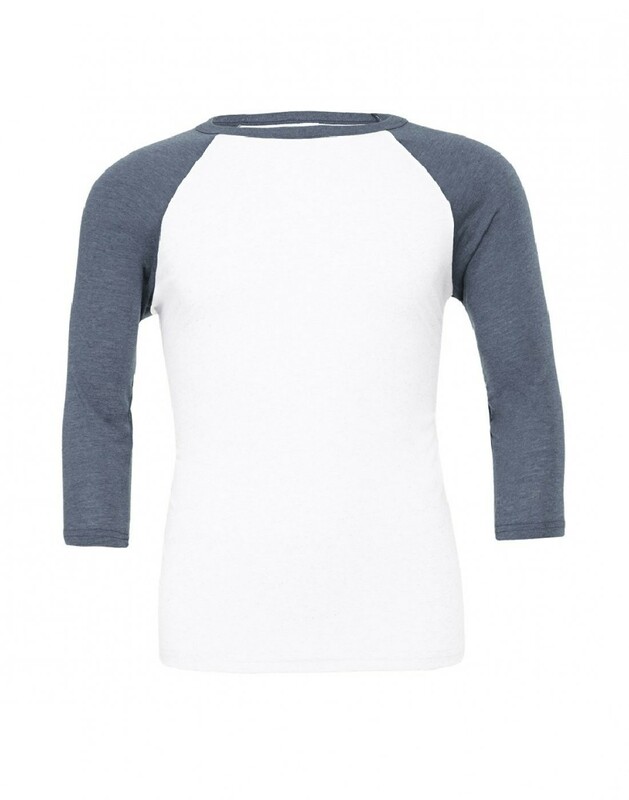 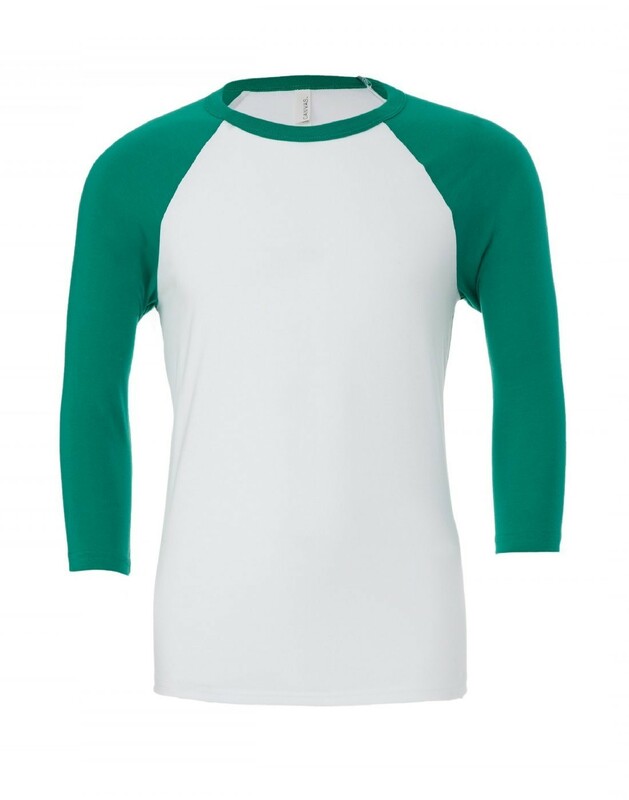 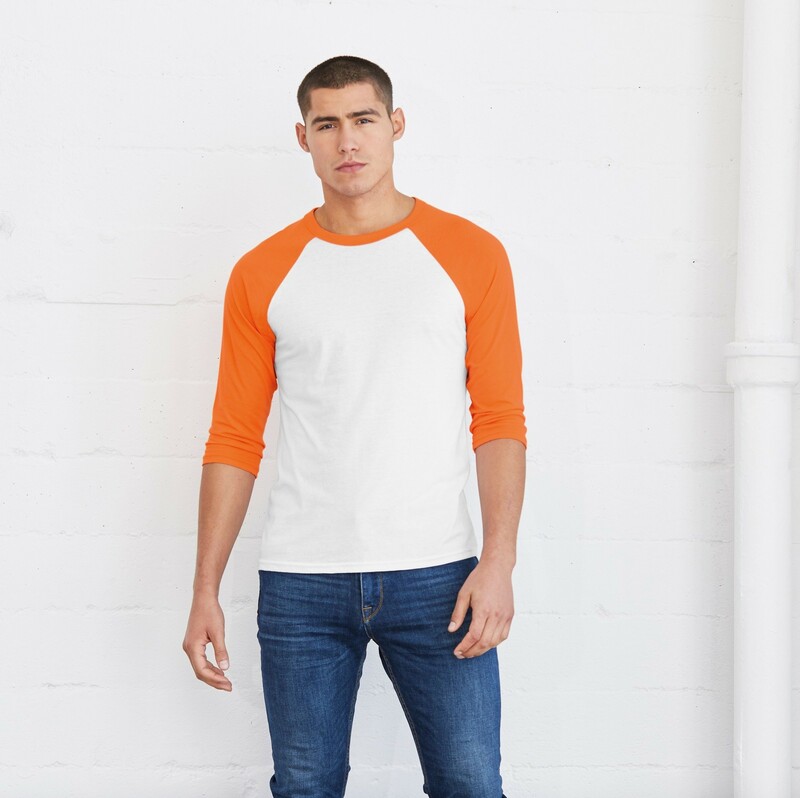 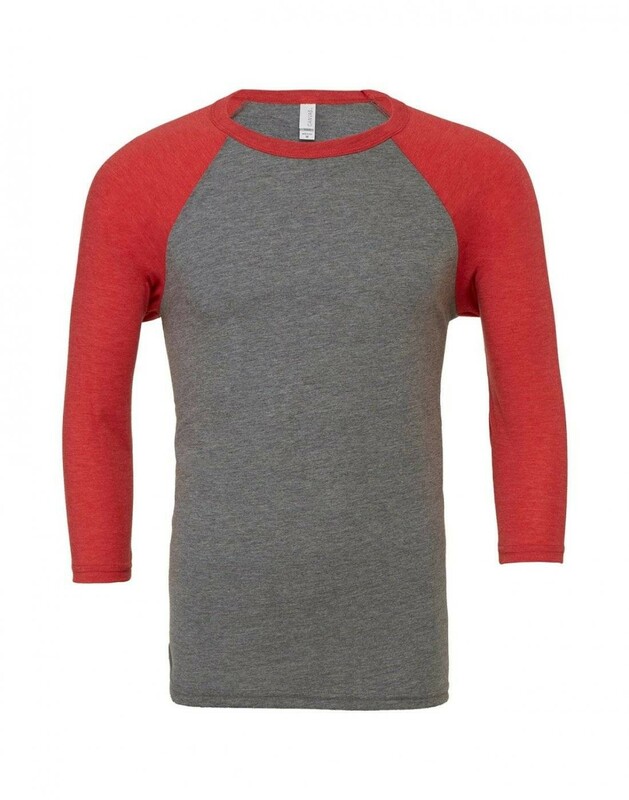 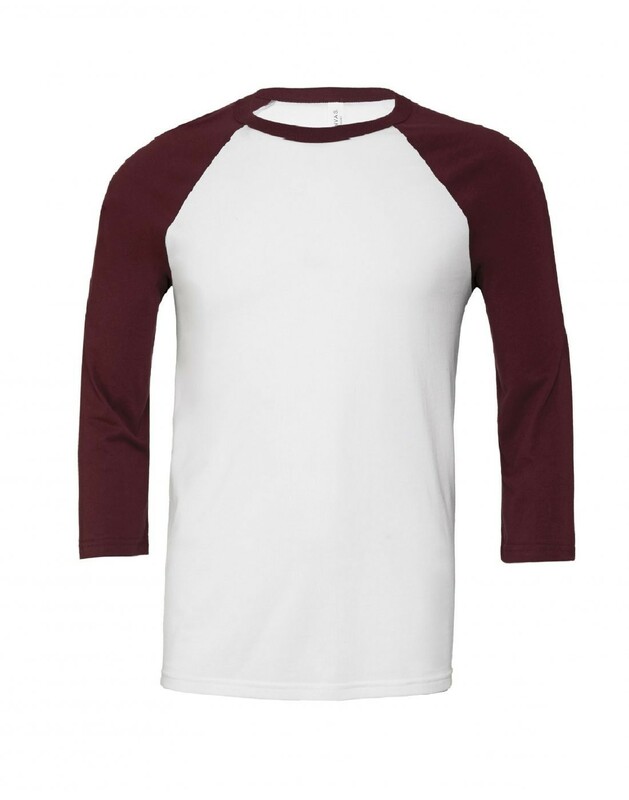 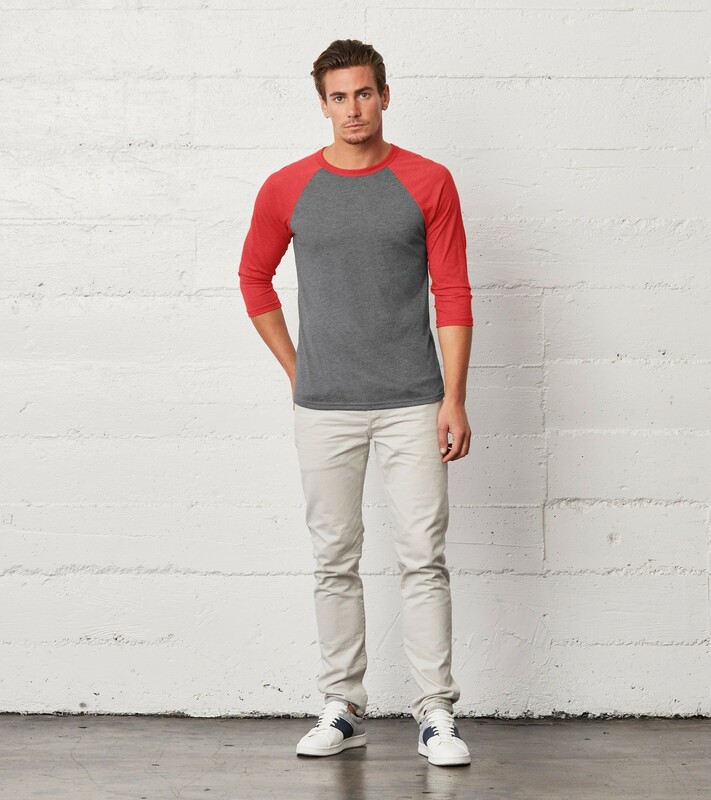 Contrast raglan sleeves and neck trim. 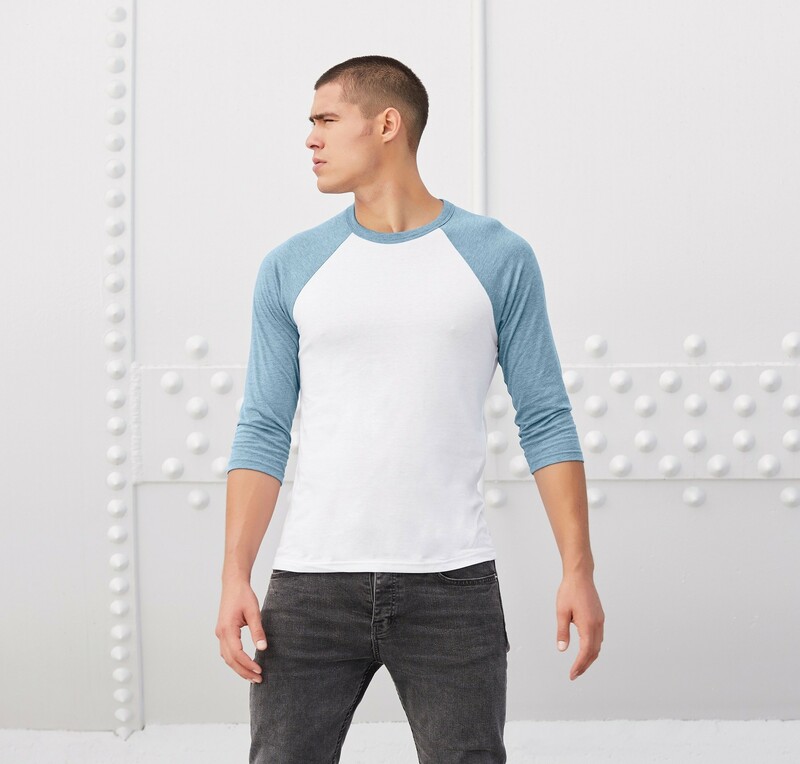 Side-seamed. 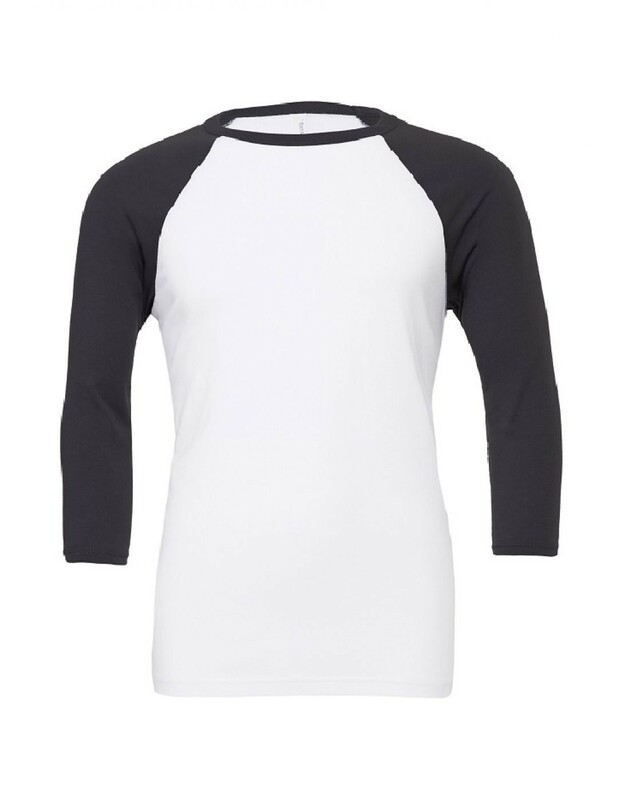 Love this brand new t-shirt for 2015. 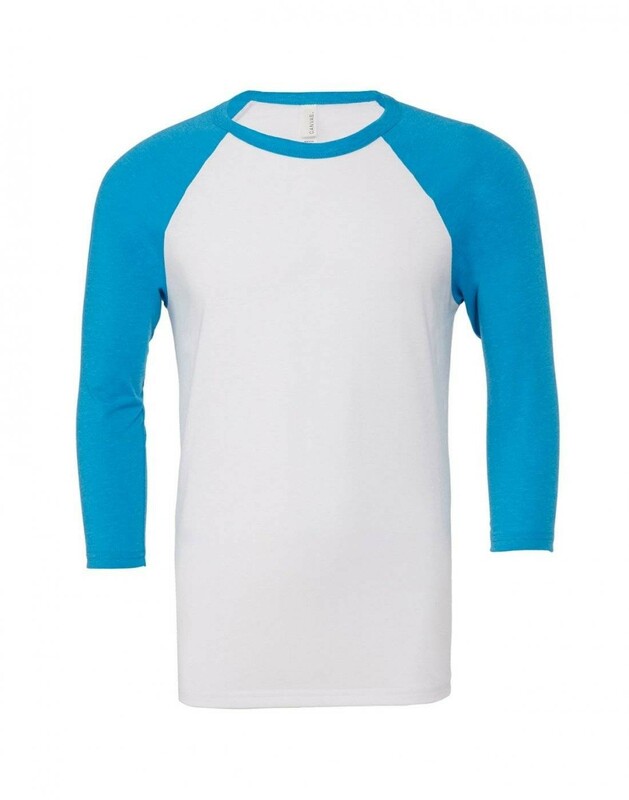 The colour choices are excellent (especially the white-neon blue) and the fit and feel of the fabric is perfect. 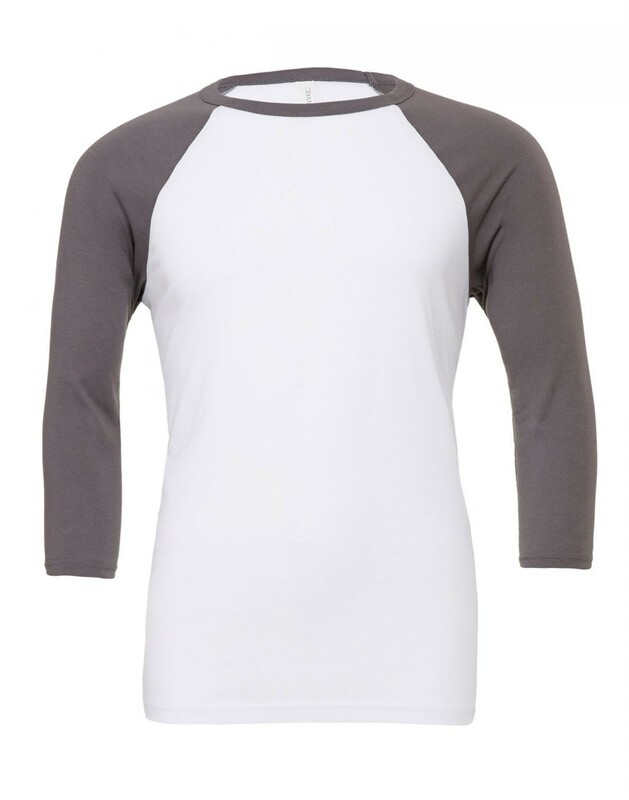 Value for money is pretty good too considering that these are very much a retail style garment. 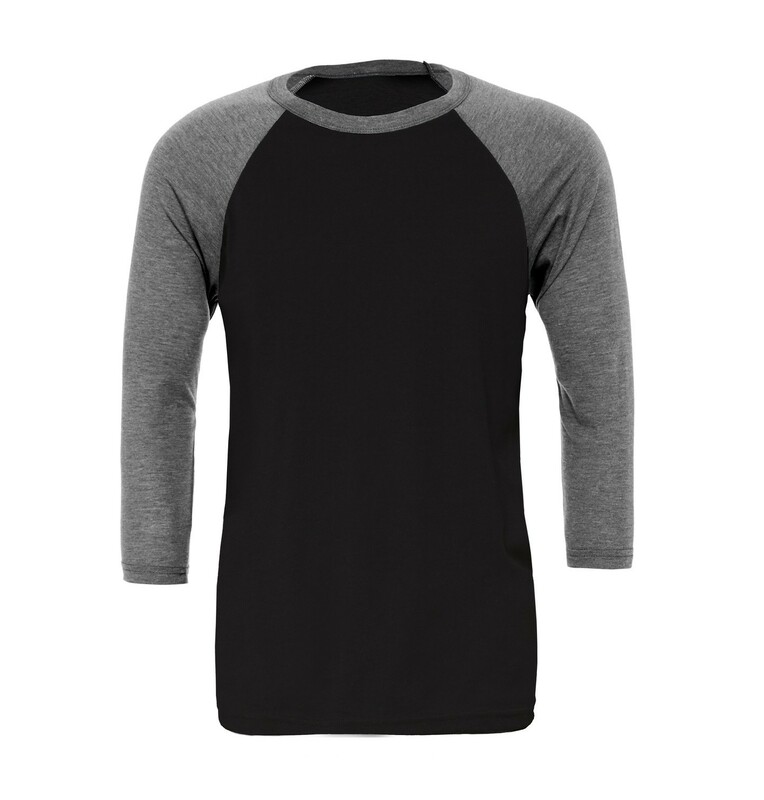 The fabric is a tri-blend of polyester and combed ringspun cotton. 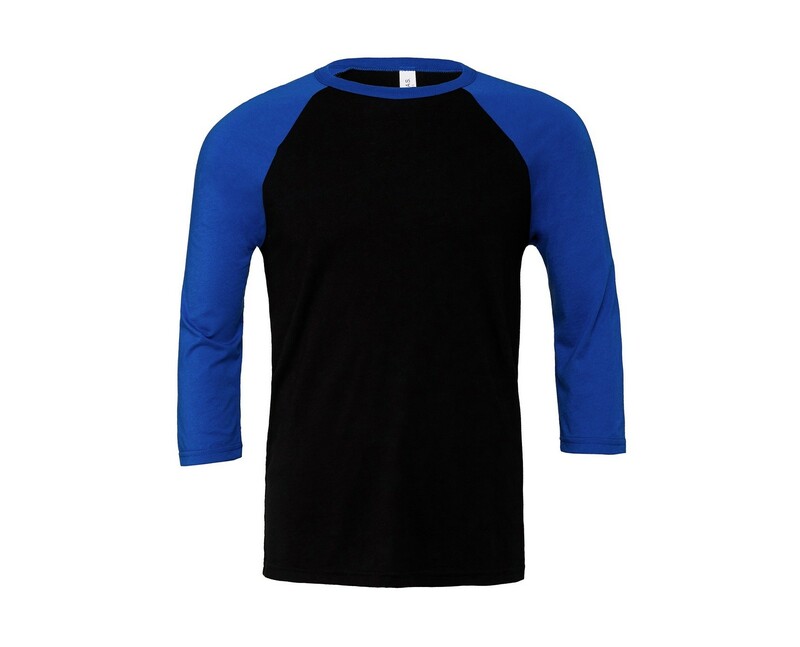 So when you touch the fabric and feel how soft it is, the material tells you exactly why, as it is almost the perfect blend for softness.